Some people name their cars, others attach names to their boats but farmers sometimes name their tractors. This immense Ford (now New Holland) four wheel drive model has been nicknamed KILLDOZER by its owner (or the photographer) and at this vantage point I can understand why. Growing up using only two wheel drive International tractors with nothing more than duals, this beast looks intimidating and far more powerful than anything I have ever driven through a field. 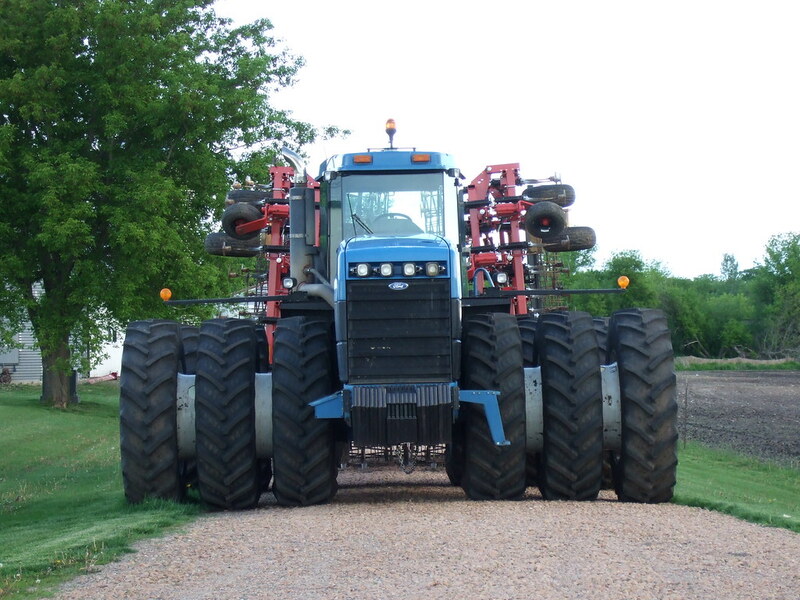 I would definitely take the shoulder when meeting this tractor or one like it on any road.